Today was the last Wild Walk for Gigha and Cara (the retriever and lab in the photo) for a while anyway. I have been walking them while their owners were away sunning themselves on holiday. 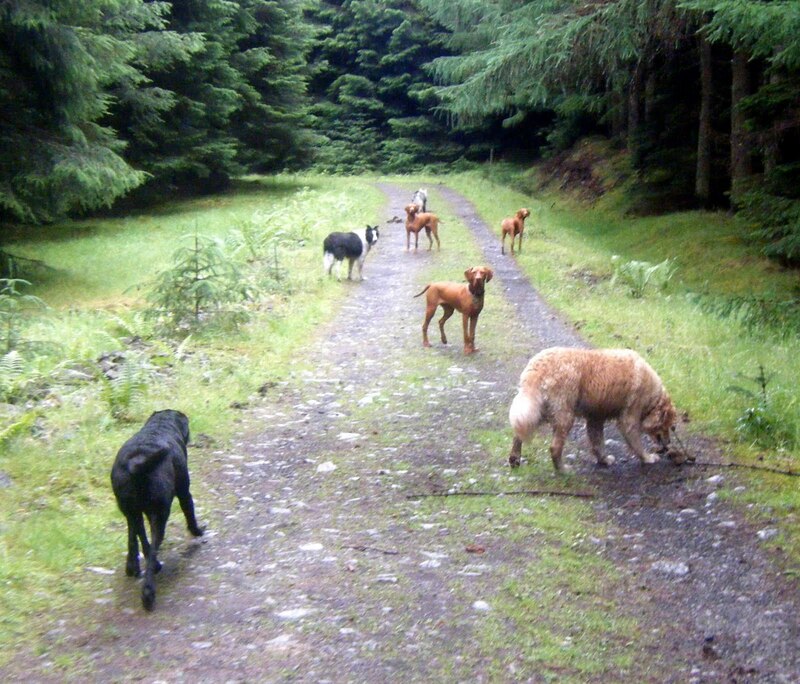 They have been a real pleasure- friendly, happy, well mannered dogs that really LOVED their walks with me. Looking forward to your owners next break, Gigha and Cara!! Also with me today were Holly and Ivy, Boris, Vito and Skye – all great dogs who are a pleasure to walk and make me smile a lot! !